In her poem "Summer Day," Mary Oliver says: "I don't know exactly what a prayer is./I do know how to pay attention..." Simone Weil saw no distinction between attention and prayer. For her, "absolute unmixed attention is prayer." How difficult it is to pay attention, fully and truly. Unity with that which is greater than ourselves cannot be commanded or willed. Yet how hungry we are for that union, for an experience of the self falling away. How hungry we are to leave behind the anxious, judging voice of the mind; to move beyond blame and regret; to escape the need for control and the rush to anger. Prayer offers the opportunity to reach a place beyond the petty cravings and confines of the self. Prayer offers the opportunity to pay attention. The power of paying attention was brought home to me when the migration of song birds passed through this spring. My husband and I went in search of the rarely seen golden- winged warbler. Someone had spotted one of these birds and posted the sighting on the New Hampshire listserv for birders. We spent an hour with binoculars pressed to our faces, but we did not find the "target bird." We found plenty of others, though, gorgeous birds on their way north -- the bay-breasted, northern parula, chestnut- sided and blackpoll. The viewing of these miraculous creatures was a moment of joy unmixed with anything else, a moment of transcendence, a moment of feeling at one with a world beyond our common human concerns. When I was younger, I tried to create the perfect circumstances for moments of transcendence to arrive. I carved out hours of silence alone at my desk and sat there waiting for divine understanding to show up. Often I found myself depressed and peeved when this did not happen. I went looking for transcendence in nature. Here it was easier to experience, though even on a deserted stretch of beach, with the gulls and sound of the surf my only companions, my own sorry mind was apt to take over, assaulting me with a round of accusations and worries and filling me with an uneasy noise. Even here it was possible to prevent myself from seeing what was before me, from hearing the waves as they broke on the shore, from feeling the sun on my face. One gift of middle and older age is freedom from the awareness of self. As you shift your gaze outward with greater frequency, a sense of oneness between yourself and the world begins to creep over you, at unexpected times, in unexpected places. Joseph Campbell argued: "I don't believe people are looking for the meaning of life as much as they are looking for the experience of being alive." We might also say that people aren't looking for the rote recitation of prayer as much as they are looking for an experience of being in prayer. C.S. Lewis maintained that prayer without words is best, "if one can really achieve it." For someone steeped in the ways of a mainline Protestant church, this is an interesting concept. What does wordless prayer feel like? How do you know if you have achieved this state? A house of worship, where we might expect to find ourselves in such a state, often turns out to be the last place it happens. With its focus on words, the liturgy can sometimes get in the way. "As soon as man is fully disposed to be alone with God, he is alone with God no matter where he may be -- in the country, the monastery, the woods or the city," Thomas Merton tells us. When I first read this in Merton's "Thoughts in Solitude," I nodded my head in agreement, but I am not sure that at that younger age, I fully grasped what he was saying. In the years since then, I have inched closer, as my understanding of prayer has shifted from seeing it as a form of supplication to experiencing it as a state of being. The appeal of another kind of prayer, the sort that might be found walking in the woods and looking for birds, is its grounding in the physical. It moves beyond a cerebral exercise. This appears to be what many in our fractured culture are seeking today, a fully felt experience of God beyond the walls of places of worship. "Let me seek, then, the gift of silence, and poverty, and solitude, where everything I touch is turned into prayer: where the sky is my prayer, the birds are my prayer, the wind in the trees is my prayer, for God is all in all." Thank you coop Very timely, since I have felt spiritually isolated and in a vacuum today. 91:8.4 To some individuals prayer is the calm expression of gratitude; to others, a group expression of praise, social devotions; sometimes it is the imitation of another’s religion, while in true praying it is the sincere and trusting communication of the spiritual nature of the creature with the anywhere presence of the spirit of the Creator. 91:8.11 God answers man’s prayer by giving him an increased revelation of truth, an enhanced appreciation of beauty, and an augmented concept of goodness. Prayer is a subjective gesture, but it contacts with mighty objective realities on the spiritual levels of human experience; it is a meaningful reach by the human for superhuman values. It is the most potent spiritual-growth stimulus. 91:8.12 Words are irrelevant to prayer; they are merely the intellectual channel in which the river of spiritual supplication may chance to flow. The word value of a prayer is purely autosuggestive in private devotions and sociosuggestive in group devotions. God answers the soul’s attitude, not the words. 196:0.10 Jesus brought to God, as a man of the realm, the greatest of all offerings: the consecration and dedication of his own will to the majestic service of doing the divine will. Jesus always and consistently interpreted religion wholly in terms of the Father’s will. When you study the career of the Master, as concerns prayer or any other feature of the religious life, look not so much for what he taught as for what he did. 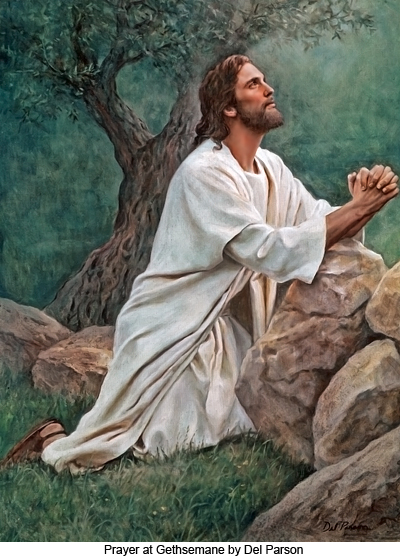 Jesus never prayed as a religious duty. To him prayer was a sincere expression of spiritual attitude, a declaration of soul loyalty, a recital of personal devotion, an expression of thanksgiving, an avoidance of emotional tension, a prevention of conflict, an exaltation of intellection, an ennoblement of desire, a vindication of moral decision, an enrichment of thought, an invigoration of higher inclinations, a consecration of impulse, a clarification of viewpoint, a declaration of faith, a transcendental surrender of will, a sublime assertion of confidence, a revelation of courage, the proclamation of discovery, a confession of supreme devotion, the validation of consecration, a technique for the adjustment of difficulties, and the mighty mobilization of the combined soul powers to withstand all human tendencies toward selfishness, evil, and sin. He lived just such a life of prayerful consecration to the doing of his Father’s will and ended his life triumphantly with just such a prayer. The secret of his unparalleled religious life was this consciousness of the presence of God; and he attained it by intelligent prayer and sincere worship — unbroken communion with God — and not by leadings, voices, visions, or extraordinary religious practices.